Health: Healthy! Got FOUR teeth on the top. That wasn’t fun for anyone, and now he’s got a total of 6. Sleep: Between teething and everything his sleep has been a little off this month. Since we moved and we’re in a temporary housing situation both the boys are sharing a room. It’s actually going much better than I thought. Riley normally wakes them both up (and us) at 6:00am, which used to be 7am :( but their room gets a lot more light here. Charly takes his morning nap at 8:00am or 8:30am depending on if he sleeps through Riley waking up. They both take an afternoon nap at 12:30 or 1:00pm and sleep until 3:30pm or 4:00pm. Sometimes Charly wakes before Riley, and I go in to get him, and Riley sleeps longer. They both go to bed around 7:00pm. Recently Charly’s been waking at night, sometimes he’ll cry for a minuet and then go back to sleep, sometimes we need to go in to check on him. I think he’s getting to the nightmare stage? A few nights ago he was clearly having one – flat asleep on his back screaming. I picked him up and talked to him to get him to wake and then he calmed down. Nursing: So, we’ve had a big change in this area. Earlier this month he was so fussy and crabby when I would try to feed him. He would arch his back away from me and scream. He was getting all 4 top teeth and when he would latch he was having trouble, and I got a plugged duct. After refusing to nurse for several feedings and a few bottles I took him into the pediatrician to rule out an ear infection or anything else that might be bothering him. We found that he wasn’t gaining weight like he should – so we worked really hard to get calories into him. Pumping, formula, nursing. In 4 days he gained 10oz and all was well – except he still didn’t want to nurse much at all. First thing in the morning, or late at night he would. This all happened in the middle of us packing to move, so I was stressed about that, and about him not nursing. 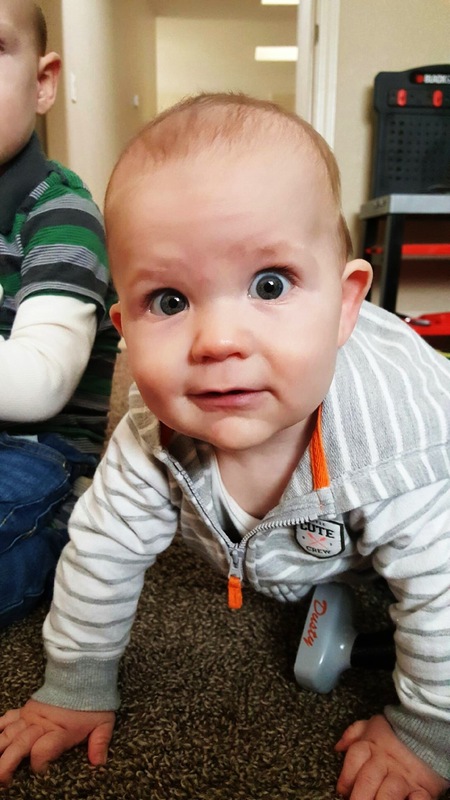 He’s easily distracted, which is normal at this age – and having a very loud toddler brother doesn’t help. At this point I’m exclusively pumping 4 times a day for 30min, and that provides the 24oz a day he normally eats, in addition to solids. I cried about this a.lot. I wasn’t ready for it at all. And the stress of moving made it so much worse. Pumping is so much more difficult than nursing was for me. I feel trapped and confined by pumping. 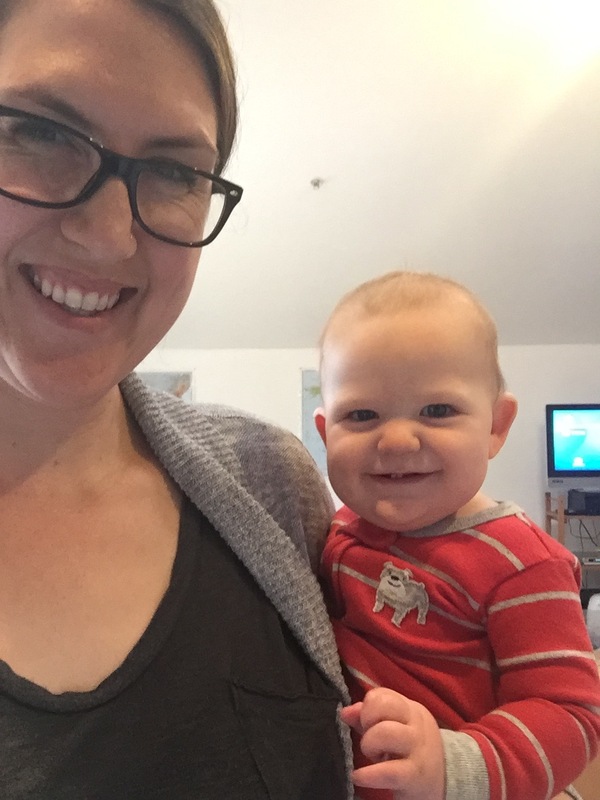 We’ve found a pretty good routine, and I’m determined to make it to a year of breastmilk. I’ve always admired pumping moms, and never imagined that I’d be one – Riley nursed until we weaned at 15.5 months, and I was more than ready. I hold out hope that we can go back to nursing, maybe when all the dust from moving settles, but he happily takes a bottle, and I don’t have anxiety every time I sit down to feed him. What Charly is up to: First crawl happened the last night we spent in the Burbank house. 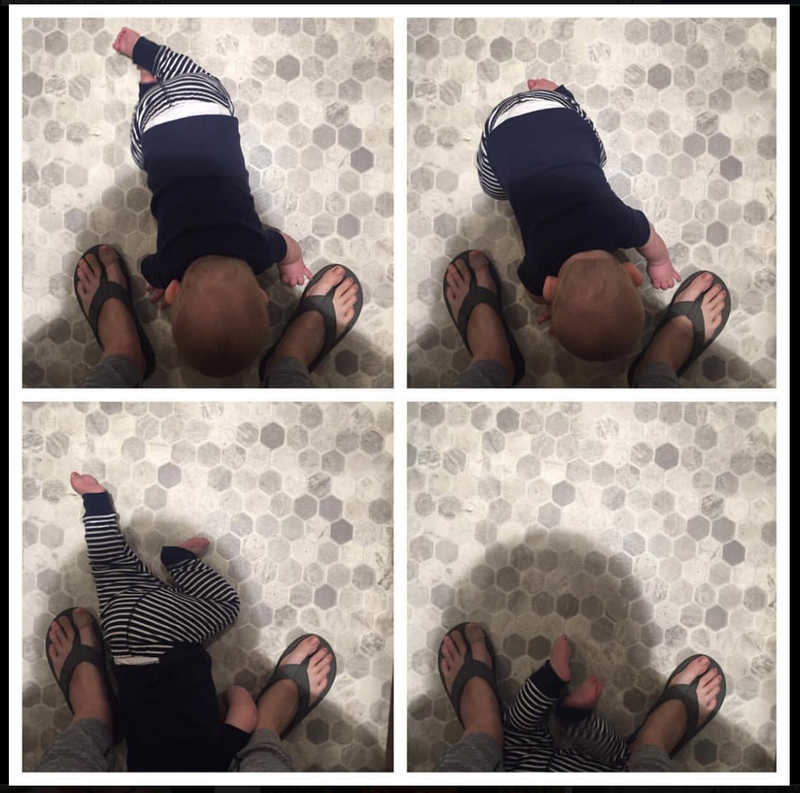 He was army crawling like an alligator, and now it’s more crawling and less scooting. 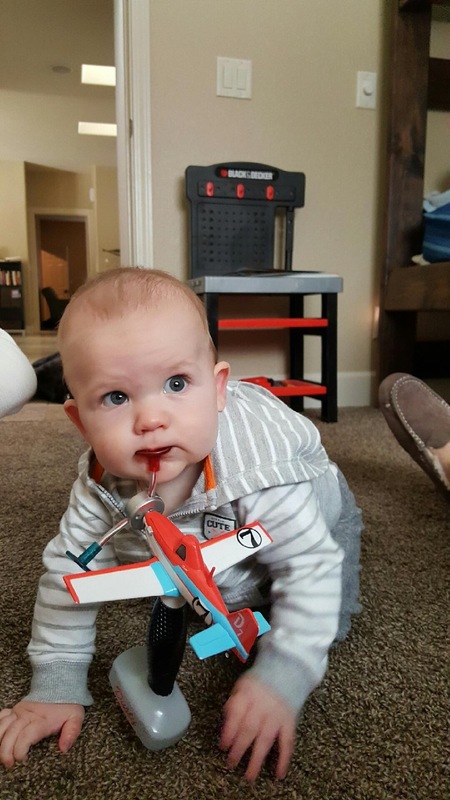 He can go from sitting to crawling, back to sitting. Sits in a highchair and sits in the big bathtub. He has the best giggle, and sweetest smile. He’s very laid back and content. He wasn’t 100% happy on the long drive up to Flagstaff, and cried for some of the drive, but overall did really well. He’s all about food and will eat anything and everything we give him. 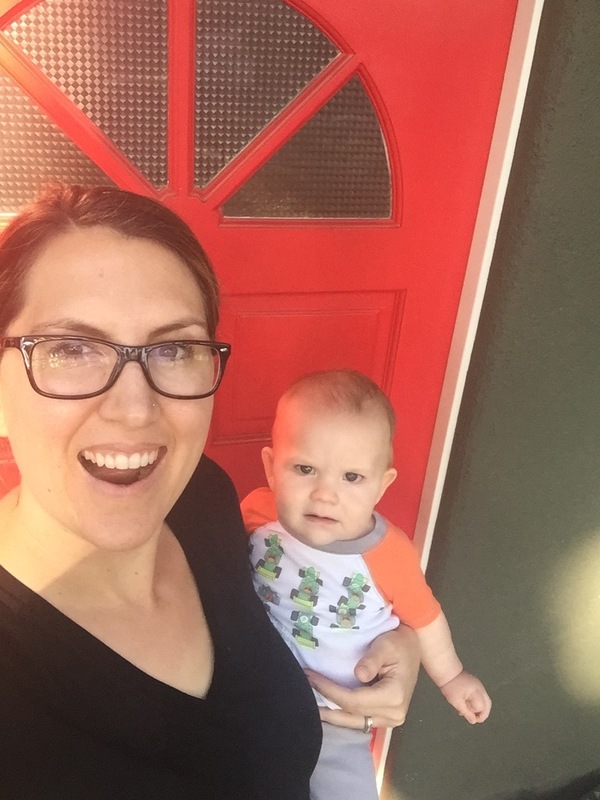 PostPartum: The nursing change and stress from moving sent my hormones all out of whack. I feel much better now, but it was a rough few weeks. My eating is terrible, and I don’t feel well at all. Need to make that more of a priority. Now that the dust is settling I can get back to better eating and working out. 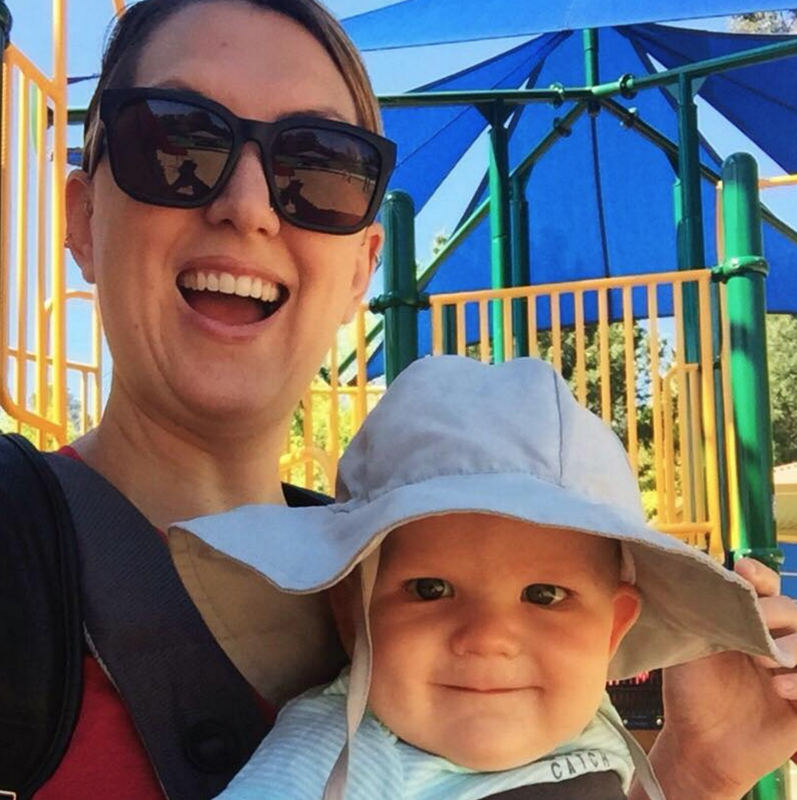 Baby Gear: We got a new carrier this month, the Ergo 360 Cool Air and I love it. He likes facing out sometimes, and the mesh material makes it much more comfortable for both of us. Thoughts: It was a big, emotional and stressful month. We sold our house. Moved. Came to a new state where we don’t have a new house. We switched from nursing to pumping. The thing I’m trying to keep front and center in my mind is that Charly’s first year is almost over, and I want to soak up as much of his sweet babyness as I can. Congrats! I’m now a follower.